The Travelling Lindfields: Skiing in Oz - the NSW Snowy Mountains. Skiing in Oz - the NSW Snowy Mountains. Our son has a Canadian friend who is in Sydney on a working holiday. She has lived and worked for the last few years in Whistler. He is taking her to the NSW Snowy Mountains in Kosciuszko National Park next week because she wants to know what it is like to ski in Australia. He has tried to prepare her but I can't help thinking that no amount of preparation will ready her for the magnitude of the disappointment she is in for. In the best of years, Australia is hardly a country able to boast about the quality of it's skiing but this year the less said about the appalling snow conditions the better. David refuses to ski overseas - something about it being akin to standing under a freezing, cold shower tearing up $100 dollar notes. For the past two and a half decades therefore, give or take a couple of years, we have packed up the family and headed to the NSW Snowy Mountains. For anyone contemplating a NSW snow holiday I've put together a few tips on which resort to choose. I realise it's a bit late in the season but I started writing this post a while ago and never got around to finishing it. Just think of it as early advice for next winter. The NSW ski fields consist of four resorts; Thredbo, Perisher Blue, Charlotte's Pass and Mt Selwyn. Thredbo has the highest lifted point and the longest runs in the mountains. With 5.9 km of uninterrupted downhill skiing from the top of Karels T-bar to the bottom of Friday Flat there is no shortage of challenging runs. You will find the steepest, most difficult terrain of the four resorts in Thredbo and on the first few runs of the day that famous Thredbo ice. Beginners and intermediate skiers haven't been forgotten however. Friday Flat is a purpose built area for beginners and a great set of easy/intermediate trails are serviced by the Cruiser chair. As well as skiing and boarding, Thredbo offers limited night skiing, snow-shoeing and cross-country trails. Built in the style of a European alpine village, with its large number of restaurants and bars Thredbo is the place to be for those who want to party into the night. 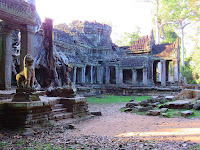 The accommodation varies from hotel rooms to apartments and lodges and there is plenty of day and overnight parking. Much of the accommodation is within easy walk of the main lift terminals but for the rest there are several free shuttle bus routes around the village. Plenty of properties offer ski-in/ski out accommodation. Perisher Blue has 49 lifts and a skiable area of more than 12 square kms. The main ski field is connected to smaller fields at Blue Cow, Guthega and Smiggins Holes, making Perisher Blue the largest skiing and boarding resort in Australia. Lift tickets are valid across the resort. Perisher Blue is great for families and singles alike, with gentle slopes for kids as well as plenty of advanced runs for adults. Like Thredbo it offers limited night skiing, cross country and snow shoeing. There is plenty of free day parking but overnight parking is strictly limited. Leave the car at Bullock’s Flat and take the Skitube Alpine Railway direct to the ski fields. Accommodation styles vary from hotel rooms to apartments and lodge style. Located above the snow line, Perisher has a number of ski-in/ski-out properties. Many of the lodges also provide their own shuttle buses to the main lift terminal. A small, family friendly resort, Charlotte Pass is ideal for beginners and families with young children. The kids will love being surrounded by snow, and parents will love the safe environment and gentle slopes. Charlotte offers hotel room style accommodation as well as a number of private lodges with views across the ski field. Completely snow-bound for most of the season, Charlotte is only accessible by over snow transport. Leave the car at Bullock’s flat, take the Skitube to Perisher Valley and catch a snowcat from there. A considerable distance from the other Snowy Mountains fields, Mt Selwyn is a day resort only with no overnight accommodation. Skiers can stay 30 or 40 minutes drive away at the nearby towns of Adaminaby or Talbingo. Mt Selwyn is a small, family-oriented ski field that markets itself as a budget destination. As well as skiing and boarding, it offers cross-country, snow-shoeing and two snow tubing lifts. The Skitube is an alpine railway, purpose built for skiers and boarders, which runs from Bullocks Flat, about 20 kms from Jindabyne, to Perisher Valley and Blue Cow Mountain. The trip to Perisher Valley takes about ten minutes and then another seven minutes on to Blue Cow. There is plenty of free day and overnight parking. Equipment and clothing hire is available at all ski fields, except Blue Cow, as well as at Bullocks Flat Skitube Terminal and nearby towns such as Jindabyne and Cooma. All resorts offer lesson packages for both skiers and boarders ranging from rank beginner to advanced. The season runs from early June to early October but try to avoid the first or last couple of weeks, when the snow cover can range from unreliable to non-existent. Both Thredbo and Perisher have extensive snow-making capabilities but the resorts can't make snow unless the overnight temperature is cold enough. Most of the Perisher runs are higher than those in Thredbo making Perisher a better bet when conditions are poor. 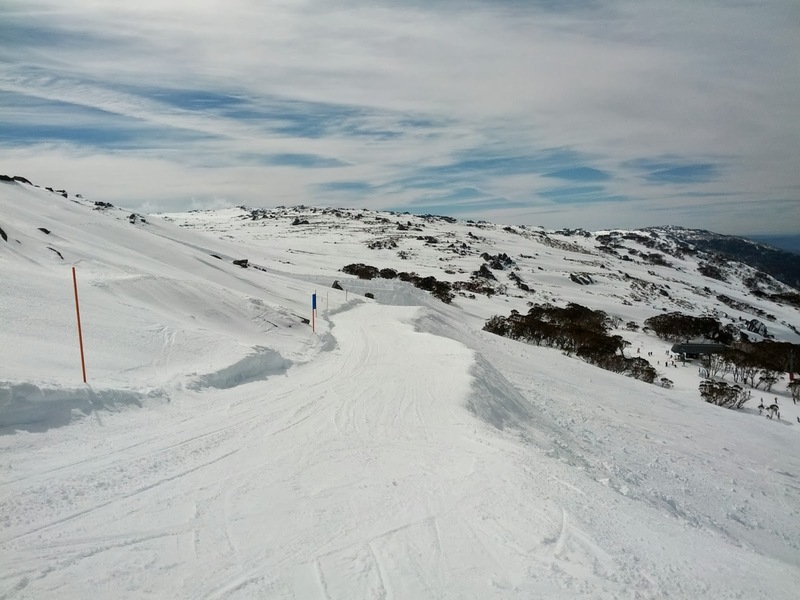 We have had the occasional unfortunate experience at Perisher however when the snow is still there but many of the lifts are closed down before the end of the season. Location and How Do I Get There? Chains are not generally required to access Thredbo or Bullocks Flat but if you intend to drive through to Perisher Blue then you will need to hire them unless you are in a 4WD. The nearest airport is at Cooma, about 1 ½ hours away by road. The drive from Sydney takes about five and a half hours and from Canberra two and a half. Coach services operate from Sydney, Canberra and Cooma to both Perisher and Thredbo with specialised ski and snowboard packages from Sydney and one-day ski and snowboard tours from Canberra. A shuttle service operates from both Cooma and Adaminaby to the Mt Selwyn fields. As you drive past Canberra keep an eye out for kangaroos. There are often large mobs of them on Majura Rd between the Federal Hwy turn-off and Canberra Airport. For an up-close encounter with a kangaroo, head down to Tom Groggin or Geehi on the Alpine Way between Thredbo and Khancoban if the road is open or try your luck in the early evening at Thredbo Diggings. For many years there was a resident wombat which lived near the Village Green in Thredbo. He would wander across the lawn in front of Sydney Ski Club Lodge in the early evening but I haven't seen him for a while. If you're lucky you might see emus on the Alpine Way between Jindabyne and Thredbo. Look for them near the sign warning of 'emus' in the area. I've seen them occasionally.